The common sunflower is one of those flowers that just makes you smile! It can grow up to 8 feet high and is a favorite with birds and pollinators. Notice the bright yellow pollen that decorates the center of this yellow beauty. Once the pollinators have done their work and the seeds form, then it’s a feast for birds especially gold finches. They bloom from July through October, long after many wildflowers have given up to the Texas heat. Sunflowers are a welcome sight along the roadways and in the fields in and around the hill country. Yes, this bird is hanging upside down! 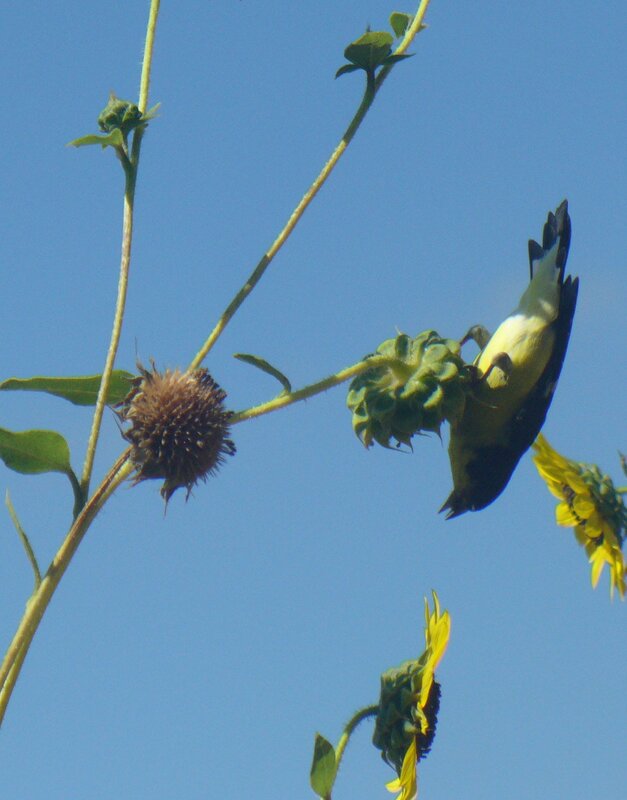 The gold finch has plucked off the petals to make it easier for him to hang on and to get to the seeds. The sunflower is a very useful plant and has been cultivated by native peoples for thousands of years. Yellow dye was made from the petals, blue/black dye from the seeds. Both were used to color basket and weaving materials. They also ground the seeds for flour, as they did with maize, and even made sunflower oils just as we do today. (One difference is that they used the oils in their hair while today, we use it mostly for cooking.) They also roasted and ate the seeds as we do today. The sunflower has been used in medicines from poultices for snake and spider bites, to making teas that can ease congested breathing and reduce fevers, to using the crushed stalks in the making of soap. At one point, people thought planting sunflowers around a dwelling would protect them from malaria. 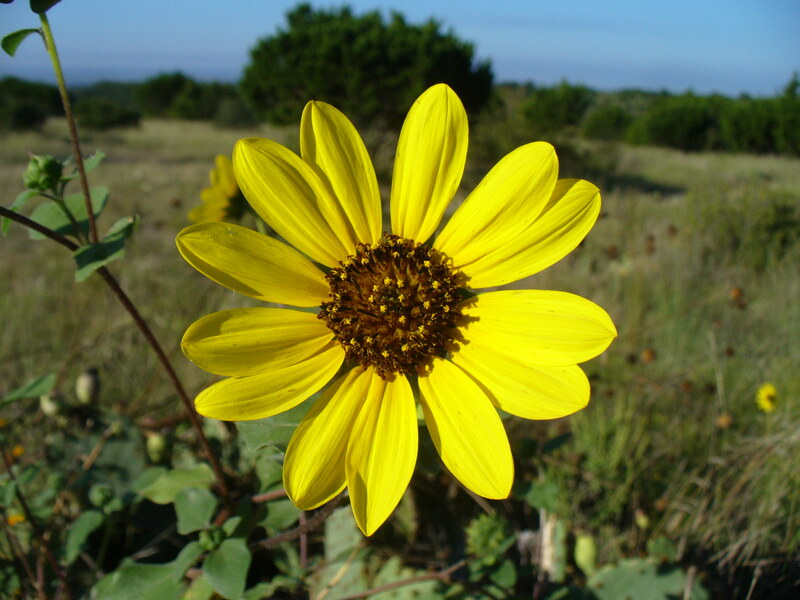 So, the common sunflower, while common, is a very beneficial plant to animals and to humans!